The spectacle of elite practitioners crossing obstacles in effortless and unique ways can provide eye catching and memorable performance to an audience. JUMP has experience choreographing and working with other physical performers as well as supplementing non-physical performance with Parkour movement. We are able to work with site specific pieces, using our unique appreciation of environments to get the most out of the performance area. We’re also equally at home performing on fixed equipment to create captivating movement for audiences. 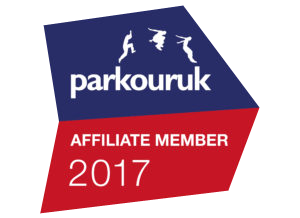 Our core team have high levels of Parkour, acrobatic skill and physical strength. They are able to choreograph standalone Parkour performance or provide movement to fit into ensemble shows. Find out more about our performance services via the contact form below.